It's hard not to be more than slightly disappointed by the fact that The Industrialist, Fear Factory's eight full-length, doesn't feature the drumming talents of the Atomic Clock himself, Gene Hoglan, and is instead programmed by John Sankey (who drummed in Divine Heresy's early days). Yet industrial metal is one of the few metal subgenres where it is possible to get away with programmed drums, and The Industrialist more than lives up to its name, being full of electronic bells and whistles. In terms of the sheer amount of industrial augmentation this is up there in the FF catalogue with Digimortal, although you'll be relieved to hear this album continues in Mechanize's path of heavy, pounding mechanical metal. It's also linked with Obsolete in that it's a concept album based around the industrialist himself, apparently a kind of robotic incarnation of all industries that becomes sentient and, of course, destroys humanity. There's a sort of neo-primitivism to this vein of science fiction, also reflected in the Terminator series of films, that distrusts technology and scientific innovation to the extent that the 'Judgement Day' moment where it turns on its creators and destroys us is inevitable. Rarely if ever is there a consideration of the positives of scientific progress, from feeding the poor to walking on the moon, and this blind pessimism leads to a sort of highly paranoid mindset that gives bands like Fear Factory and the now sadly defunct Red Harvest their unique atmosphere. That atmosphere is present in The Industrialist to quite an extent, although fans will be relieved that there's plenty of crunchy metallic action, made even more precise and razor-edged from the fact that guitarist/bassist Dino Cazares no longer has to interact with a human drummer! As ever, Fear Factory's ability to both crush with riffs and sooth with choruses is present and correct, and the opening title track builds with a narrated intro and backing clinks and clunks to an epic assault on your ears, culminating in a rather amazing chorus where Burton duets with himself, clean vocals and harsh bellows at once. Continuing with first single Recharger the band don't let up, forming a jagged-edged anthem with a chorus that's almost too perfect compared to the riffathon surrounding it. Fear Factory are skilled at pumping out the catchy songs, but there's none of the rushed feel of the flawed Trangression here. After New Messiah takes roughly the same path, it takes God Eater to change up the formula a little, pumping up the electronics and indulging in near dubstep at moments, although never quite falling into Skrillex territory. The best moments on the album are definitely when the band show willingness to mess with the formula a little and experiment, the recurring whirrs and spooky noises of Depraved Mind Murder a nice addition to the general post-Demanufacture feel. Virus Of Faith is another highlight, upping the intensity somewhat, although it takes the final two tracks to really move away from the general feel (and good job too, it'd get a bit samey otherwise). Religion Is Flawed Because Man Is Flawed is a brief, keyboard-dominated interlude that verges on orchestral and acts as an outro for the previous fury of Dissemble, whilst album closer Human Augmentation is outright ambience, a rather creepy nine-minute piece with distorted robotic vocals and gargantuan clunking and hissing noises, suggesting the victorious automaton wandering a scorched earth. Despite the concept of the album, there's little to stop casual listens being enjoyable, and as a follow-up to Mechanize this more than works, if being the lesser of the two. 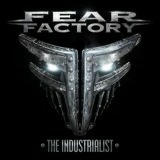 I'm pleased to see that Fear Factory are settling into a decent groove of above-solid quality that could lead to better things, but there are signs of cracks at the edges, however, and if they don't continue to innovate and move the formula forwards then things could get a bit samey and almost dull. Perhaps some new members will stop Burton and Dino from playing to each others' weaknesses... But that's the lesson ultimately for them, when all is said and done; bands needs technological progress to survive as much as humanity does.